Strategic Thinking: Explorations around Conflict and Cooperation. 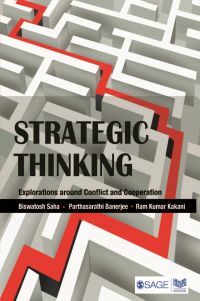 Strategic Thinking is an exploration of the world of strategic action centered on the strategist actor who remains immersed in the multi-faceted conflicts and contests of the pragmatic life of business. This book explores the various modes through which nodes of power holders are formed or decimated in the organization. It embraces the twin dimensions of strategic motives-deterrence and novel market making-around the theme of governance, without conflating the differences between these differing motives riding on differing dynamics of decreasing and increasing returns. Dr. Ram Kumar Kakani B. Tech (Andhra Univ. 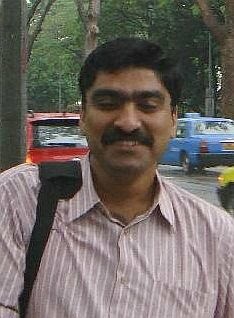 ), Fellow (IIM Calcutta) is an Associate Professor of Finance & Strategic Management Area, XLRI Jamshedpur, India. He has worked with industry and was a residential scholar at Copenhagen Business School Denmark, Singapore, & U.A.E. He has authored and co-authored ten management books. Nice post. I appreciate it. Thank you.